It will still be "several weeks" until Microsoft releases the Windows 10 Creators Update. At some point, though, Microsoft moves into the last phase of its development process, fixing all of the bugs that Microsoft employees and its Windows Insider beta testers discover in the imminent release. That phase typically begins with a huge bug-fixing exercise, known as the “bug bash,” which in this case runs through February 12. Microsoft uses the information it gathers to determine which bugs are the most serious and prevalent, so it can prioritize which to fix first. Any motivation to assist Microsoft in its bug bash is primarily a charitable one, with the end goal of simply improving Windows. 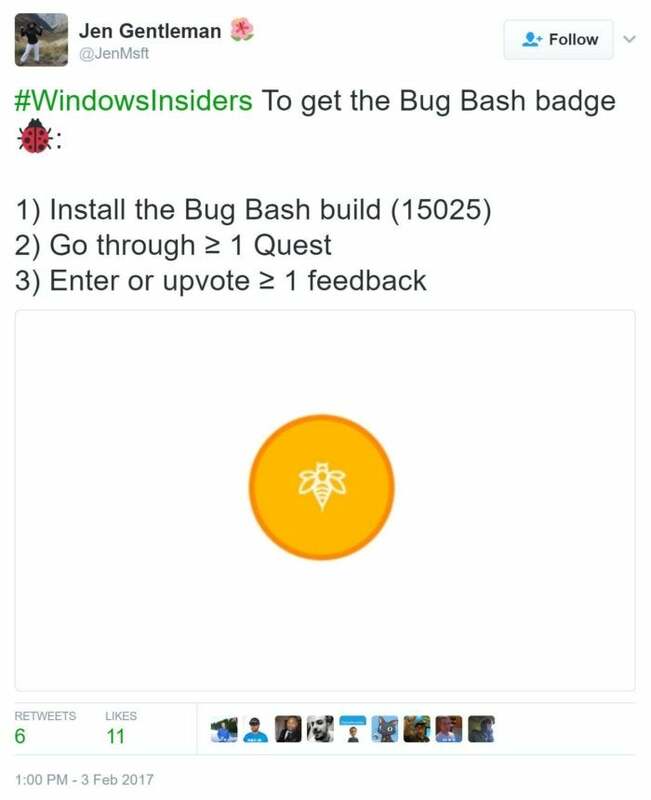 Nevertheless, Microsoft is offering special Bug Bash badges for the Feedback Hub as prizes for those who participate. 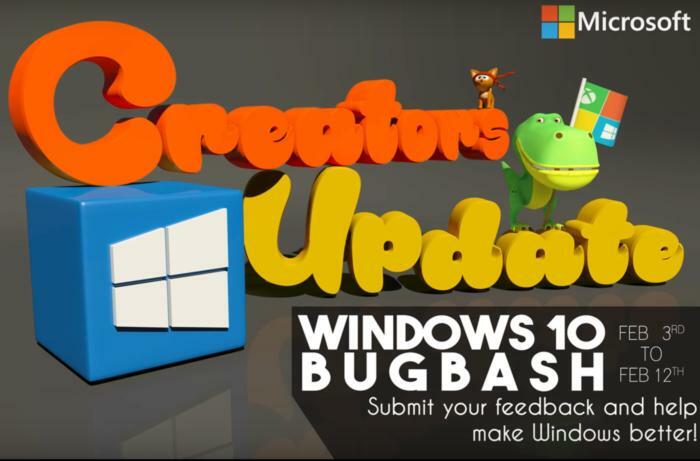 Insiders need to check the Windows 10 Feedback Hub for new “Quests,” tasks that Microsoft would like beta testers to perform to check for bugs. Leaving feedback within the Hub is also encouraged. You’ll need to make sure that you’re running the latest Windows 10 preview, Insider Build 15025, which includes a feedback mechanism that consolidates similar reports into a single response.